Maine has something special to offer music lovers. The Pine Tree State is home to large sports stadiums, fancy concert halls, and quaint music bars. In recent years, Maine has seen tours from the likes of the Dave Matthews Band, Kenny Chesney, and Mumford and Sons. Gone are the days you would have to drive down to Boston to enjoy the big names as they are coming in packs to Maine’s best music venues across the state. Darling’s Waterfront Pavilion in Bangor is Maine’s largest open-air amphitheater situated on the banks of the historic Penobscot River. Every summer the venue hosts big names like Jason Aldean, Tim McGraw, the Dave Matthews Band, and the Zac Brown Band. Located just two hours north of Portland, Darling’s Waterfront Pavilion is a popular venue to see a show. Stone Mountain Arts Center does not attractive the big names, but it does attractive some of New England’s best local musicians. Based in the beautiful western mountains of Maine, Stone Mountain Arts Center offers a gorgeous barn with views of the mountains and always serves mouthwatering local food. Stone Mountain Art Center is a favorite venue for artists like Lyle Lovett, Joan Armatrading, and the Indigo Girls. Port City Music Hall is in the heart of downtown Portland’s Arts District on Congress Street. Recently renovated, the music hall is quaint and perfect for checking out small bands and artists. The food and drink and atmosphere is great. Check out their schedule to see the latest show announcements. Located just down the street from the Port City Music Hall is the historic and much larger State Theater. Designed in 1929 with Spanish, Italian, and Art Deco aesthetics the theater showcased various acts up until 2006 when it closed its doors. It reopened again in 2010 and is now home to shows like the Pixies, Of Monsters of Men, and the Goo Goo Dolls. The historic Camden Opera House opened its doors in 1894 with a performance of “Maritama” by the Boston Opera Company. Over the years the venue has hosted films, big bands, and musical performances from world-renowned musicians. The Camden Opera House is a great venue to see the Maine Youth Rock Orchestra and other lesser known artists. The historic Strand Theatre in Rockland has been entertaining people since 1923. Remodeled in 2005, the theater is listed on the National Register of Historic Places. Today, the Strand Theatre is a multi-use venue offering the best independent films, live musical performances and concerts, and stage performances. Located in Sabattus, Mixers Nightclub & Lounge is open every Friday, Saturday, and Sunday. The club hosts themed parties and live music events every weekend. Upcoming shows include Eds Meds, The Ge3ks, and plenty of cover bands to keep you dancing all night long. Opened almost 40 years ago, the Cross Insurance Arena (formerly the Cumberland County Civic Center) is southern Maine’s largest arena. Over the years it has hosted the likes of Elton John, Toby Keith, and John Mayer. 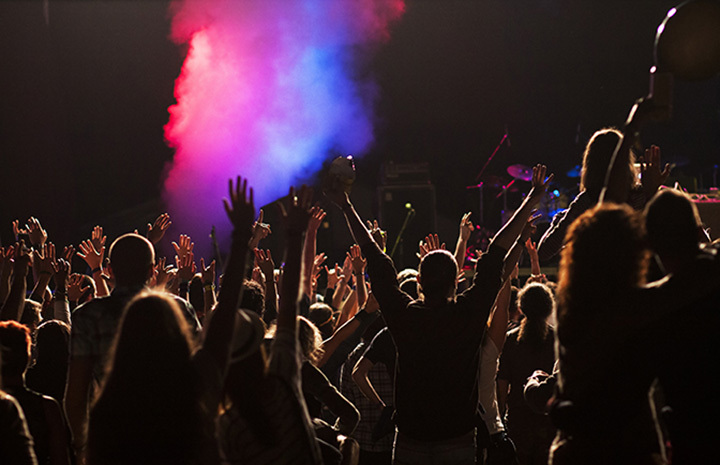 Check out the events calendar to find when your favorite artist is coming for a show. Opened by the former manager of the Big Easy, the Portland House of Music has become a popular small venue that showcases local music acts. Paired with an extensive menu and fun happy hours, this music venue is a perfect place to check out Portland’s local talent. Thompson’s Point is one of Portland’s newest music venues and it has made quite the splash by hosting some big names this past summer in the outdoor amphitheater. Just bring your chair, cooler, and take in an awesome show down by the Fore River. View more Maine Live Music Venues.